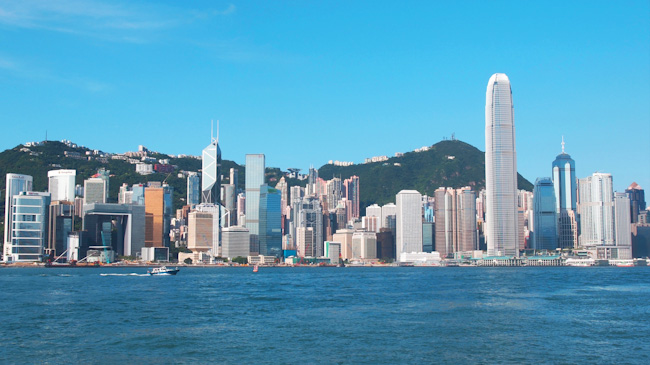 It seems to be the aim of many businesses to get into the Hong Kong market. If you are able to say that you have made it in the Hong Kong economy, it adds a shine – a bit of allure to your business, and gives you a reason to hold your head a little higher. If you are looking to have a business impact on the Hong Kong business market, there are definitely things that you need to know before getting started. Take a look at this list of what to do and how to do it to make your expansion into Hong Kong a piece of cake. If you are wondering how tough it is to register your business in Hong Kong – don’t spend too much time worrying about it, as it’s pretty easy. While the Hong Kong business website itself can be a bit confusing, there are plenty of companies around who can take care of the process for you. There are groups and companies catering for all kinds of business structures, whether you are an entrepreneur or a startup, or a larger business. You may as well pay a small fee for something potentially complicated, and save your time to spend on more worthwhile endeavors. You can even have everything sorted out prior to you ever setting foot in Hong Kong! If you are wondering how to go about registering your company, you need to know that in many case you need to have a physical address to do so. “Yikes,” you might think! Well, don’t worry, there are numerous companies who have taken care of this side of the market offering virtual offices and serviced offices to cater for the number of companies who need a physical address to get started here. Take a look at http://www.servcorp.com.hk/en/serviced-offices/ for a list of options for your company. With a serviced office you get the benefit of a business address, a phone and fax number, plus staff who can take calls in Mandarin, Cantonese and English. You’ll also get the benefit of meeting rooms and conference rooms for maintaining your professional image. The biggest bank in Hong Kong is HSBC – and while there are other options available, they simply aren’t as prevalent as HSBC. Everyone there uses it, and since payments for business and services are made mostly with electronic transfer, it makes things much simpler. Opening a virtual bank account can be challenging, as you need to be physically present in Hong Kong to do so, and while there are ways to get around this, be sure that you read up on how to open an account before you set foot in the country. This will save you a lot of potential headaches later on down the line. There are a number of options for getting a visa as a business owner in Hong Kong. Many people come on working visas as employees of firms, and you can also come on a 90-day tourist visa for executive travel which can be extended by going over the border to China, and then coming back in. You need to understand what the options are, and what is going to best work for you. You absolutely should conduct research to understand specific Hong Kong business market challenges if expanding international operations is your goal. As is to be expected, Hong Kong will have an entirely different set of economic and business challenges from your home country. When it comes to Hong Kong business in particular, you should be aware of the increasing mainland competition and the trend for foreign firms to head to mainland China, in particular. Having knowledge of the specific Hong Kong business market opportunities and challenges will greatly improve your odds at international success in business. For the capital investment visa, for example, you need to make a deposit into your Hong Kong bank account of approximately $840k. This might not be an option for some businesses, so be sure to figure out which visa fits your needs. Stick with it – and before you know it your move into the Hong Kong business market will be running smoothly. Enjoy the journey.